Drivers aged 16 to 19 have three times more likelihood of getting in a fatal crash than older drivers. In fact, in 2016 alone, there were 4,853 fatal crashes that involved young drivers. These accidents led to the deaths of 1,908 drivers between the ages of 15 and 20. These are scary statistics, particularly for parents. The good news is, we can prevent many of these, the first step being proper driver’s education. A first time driving school can make a huge difference in the safety — and life — of your teen driver. But with thousands of learning institutions to choose from, how do you pick the right one for your kid? That’s what we’ll tackle in this post, so read on! With some 222 million licensed drivers (as of 2016) on U.S. roads, driving can be risky, even dangerous. But for many of us, it’s become a necessity, even a source of income (think Uber). The fact that U.S. motorists drove a total of 3.22 trillion miles in 2016 proves that. Besides, most driving hazards arise from those who use the roads in the first place. Driving with distractions alone has killed 3,450 people in 2016. Anything that diverts your attention from the road is a distraction. That means even fiddling with a stereo’s knobs is already a distraction. Reading a text message is another, and it can increase the risk of crashing by up to 3.4 times! Texting is even more dangerous, increasing crash risks from eight to 23 times more. We can go on and on about risky driving behaviors, but the point is, teens are more likely to do these things. But if they learn safe and proper driving from the very start, they’ll learn to stay away from these risks. The best driving school teaches young drivers to avoid harmful driving habits. More than that, they arm teenage drivers with the knowledge they can use for real-life driving. Parents can only teach their kids so much, but the driving school will cover all bases. These include driving basics to defensive driving to dealing with aggressive drivers. Highly-qualified instructors will also teach students safe driving in inclement weather. That includes winter driving safety since icy roads injure 116,800 people every year. Now that we’ve got the why answered let’s talk about the hows of choosing a driving school for teens. Today, two national associations that help with driver education and safety are the Driving School Association of the Americas and the American Driver and Traffic Safety Education Association. These organizations educate and support driving schools and instructors. Their primary goal is to ensure the use of up to date driver’s ed teaching and learning techniques. Some states also have their own driving school associations. For instance, there’s the New York State Driver Traffic Safety Education Association. There’s also the Missouri Driver Safety Education Association. Belonging to these associations proves a school’s commitment to providing quality driver’s education. That your teens will really learn safe and prudent driving. Choosing such a school will also give you, the parent, peace of mind, knowing your kids are in good hands. Some states have specific hourly requirements for classroom and behind-the-wheel training. Texas, for example, requires students to have 32 hours of in-class instruction. Another 30 hours is for practical, or behind-the-wheel learning. That said, don’t enroll your child in a school that tells you your child “can finish” in less time. Not only is that against the law — it also robs your teens of valuable knowledge and driving practice time. Make sure the in-class program covers driving basics and risk prevention. It should also tackle defensive driving fundamentals. As for behind-the-wheel training, it should reinforce the in-class program for practical use. Instructors should teach their students in various driving environments too. This includes residential streets, city roads, highways, and if possible, rural areas. The driving school should have modern and professional facilities. The classroom should be learning-conducive, well-lit and -ventilated, and have comfortable seating. It’s often best to stick with smaller classes, as it is more difficult to learn with larger groups. The vehicles used for hands-on driving training should be late-model units. They should have the most modern safety features, like anti-lock brakes and traction control. This allows for a more realistic simulation of the cars students are likely to drive. Even if your state doesn’t require it, look for schools using driver’s ed-specific cars. These are vehicles with, at the very least, a second set of accelerator and brake pedals. There should also be an extra rear view mirror, for optimal student and instructor safety. A big problem many driving schools have is insufficient instructors. Yes, many offer an easy online scheduling tool. That doesn’t guarantee your kid will have an instructor right away though. So, before paying up, call the institution first. Ask them how soon they’ll have an instructor ready to teach your teen. You may have to wait for a few days, but better than waiting for two to three weeks. The best driving schools provide some form of “parent orientations”. These sessions cover how today’s driver’s ed works and how the school teaches its students. It also educates parents on what their role is in their child’s driver’s education. Choose a school that actively reaches out to parents to get involved with their kids’ driver’s ed. You’ll even find some institutions that form actual contracts with the parents. They’ll give you constant updates on your teen’s performance. This includes reports on areas that need more improvement. They’ll also share progress status with you, so you know which part of the training your child has completed. Use these to check on how well your kid is doing, as well as a guide the next time you’re supervising them. Between and after teen driver’s ed, parents take over the “coaching”. Good schools allow you to become a great coach by giving you tools and materials to do so. Aside from parent orientation and progress updates, these schools also provide student-specific advice. For instance, your kid’s instructor may have noted your teen to have issues between the gas and the brakes. They’ll talk to you about this, and give you advice on how to further educate your child about it. They’ll provide other valuable advice you can use during your parent-child practice driving. Note that some states have specific Graduated Driver Licensing policies on supervised driving. For instance, Michigan requires at least 50 hours of parent-supervised driving practice. Maximize this time so you can support your child throughout their learning-to-drive phase. Your car insurance provider can also refer you to a good school offering America’s drivers ed. The idea is, doing so also benefits them if you have your teen insured under them. They know drivers ed improves driving safety, thus making young drivers less risky. If you already have a school in mind, ask your insurer if it’s part of their network. If so, your teen may qualify for a discount. While you’re at it, be sure to ask your insurance company about other discounts your child can get. Remember: Teens often have the most expensive car insurance. So, it pays to know what will make them eligible for insurance discounts. Having a car with extra safety features and being a good student are other common teen discounts. Once you’ve narrowed your list to a few driving schools, do a meet and greet with the instructors. This’ll allow you to gauge how reliable and trustworthy they are. Ask about their teaching methods and what they do in case of training emergencies. Inquire about how they make their students realize the value of driver’s ed. You’ll feel more comfortable if you talk with the person who’ll teach driving safety. Driver’s education can be quite expensive, so it’s best your teen aces it the first time. While the majority of the work will come from them, the driving school should help them pass. So, take a closer look at the institution’s pass rate. Avoid choosing a school with a passing rate of less than 70% on first time driving exams. Look for a school with at least a 90% passing rate for first-time test-takers. Even if it’s a bit more expensive, at least you don’t have to pay for another driver’s ed course. A first time driving school can be your and your teen’s best tool to better, safer driving. When they learn the dos and don’ts of the road early on, they can prepare to become prudent drivers in the long run. 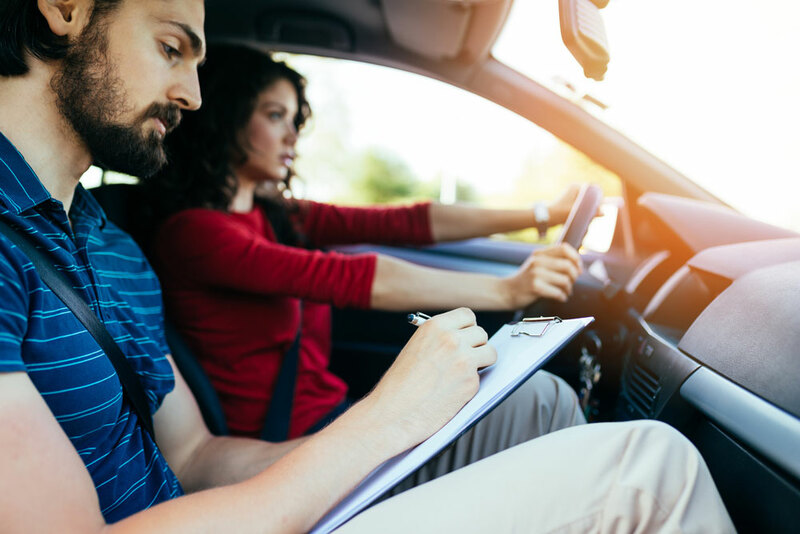 Once your teen is ready to take the driver’s test, be sure to run these tips down with them! These can help boost their chances of passing their GDL with flying colors.